Tradedoubler is a performance marketing company that provides advertisers and publishers with the opportunity to connect through their network. Advertisers essentially connect with publishers to get their help to drive visitors to their site. Publishers do this through providing advertisers with high-quality traffic, innovative technology, and expertise increasing the advertiser’s sales. Tradedoubler is able to add value to advertisers marketing strategy with their low-risk pay-for-performance-model whereby advertisers only pay publisher per action i.e. a sale. As an affiliate Tradedoubler aim to maximize client’s digital marketing investment and demonstrate tangible returns whilst helping publishers monetize their websites. Overall Tradedoubler currently connects over 2,000 leading brands with publishers all over the world opening new revenue streams and delivering a clear ROI. Our close partnership with Tradedoubler allows clients to install the SaleCycle tag easily through the Tradedoubler network without the need for a developer. So whenever a client decides to come on board with SaleCycle through the Tradedoubler network, they can expect an even quicker implementation process. The partnership with Tradedoubler helps clients to pinpoint and measure all their digital activity from one dashboard. By making all marketing campaigns fully accountable from one dashboard, our clients and affiliate managers are equipped with the knowledge they need to analyze and optimize the wider digital marketing strategy. Advertisers can expect our dedicated account managers to work closely with affiliate managers to continually update, improve, and optimize campaigns. Together we can act as an extra addition to the clients marketing team by adding our remarketing expertise to the mix ensuring for successful remarketing campaigns. Generally, our master services agreement with tradedoubler makes procurement processing straightforward without the need to negotiate attribution fees. 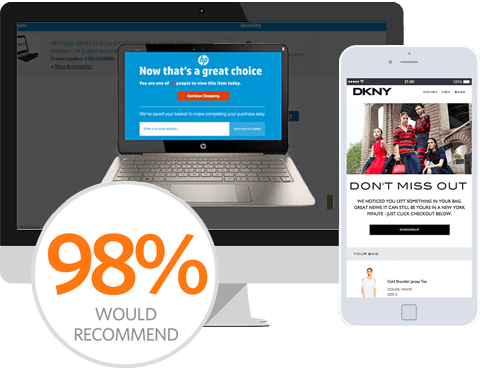 This ultimately adds to the speed of implementation meaning clients can start reaping the rewards and increasing conversions through our remarketing solutions even quicker. Provides the ability to view all digital performance data in one platform. Minimal procurement processing making for a faster implementation.